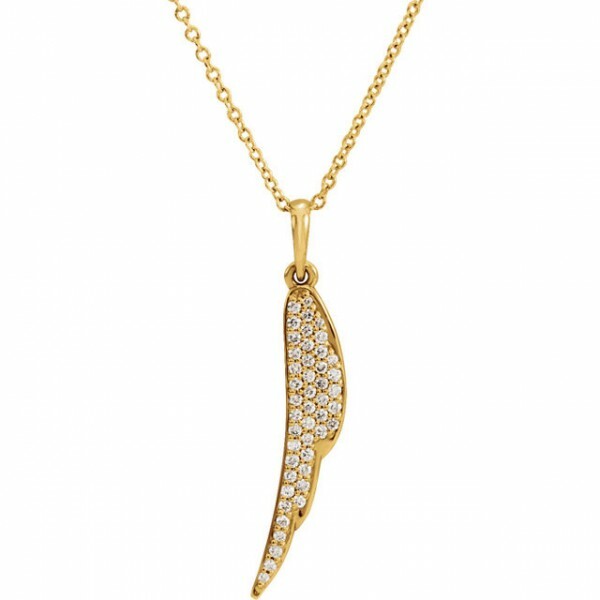 Available in white and yellow gold, this diamond and gold angel wing is a great piece to show off your angelic qualities or remember a loved one. 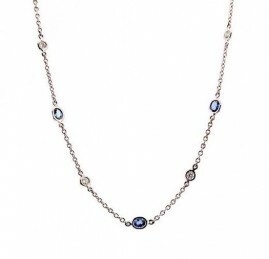 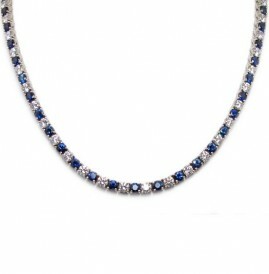 The necklace contains 46 round brilliant cut diamonds weighing approximately .25cttw pave set. 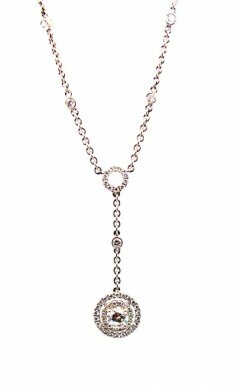 The chain is 18″ with a 16″ jump ring.